When planning a holiday, one of the most time-consuming tasks can be searching for accommodation. In Japan especially, where there are so many unique options, it can be hard to decide which one is right for you. Ryokan or hotel? Hostel or minshuku? Capsule hotel? Luckily, we’re here to help! Ryokan are a type of Japanese traditional inn, and they provide a wonderful way to experience the local lifestyle and cuisine. It starts with the staff, who are the epitome of Japanese omotenashi hospitality.While hotels are more likely to have western-style raised beds, ryokan usually provide futon spread out on floors of tatami mats, and serve traditional Japanese food sourced from local ingredients (which is typically included with your stay). Many are located in more remote locations that take full advantage of the gorgeous nature they're surrounded by, and have onsen hot springs. Although the staff likely won't speak much English, most ryokan provide a handbook for guests in rooms with English explanations of the facilities. 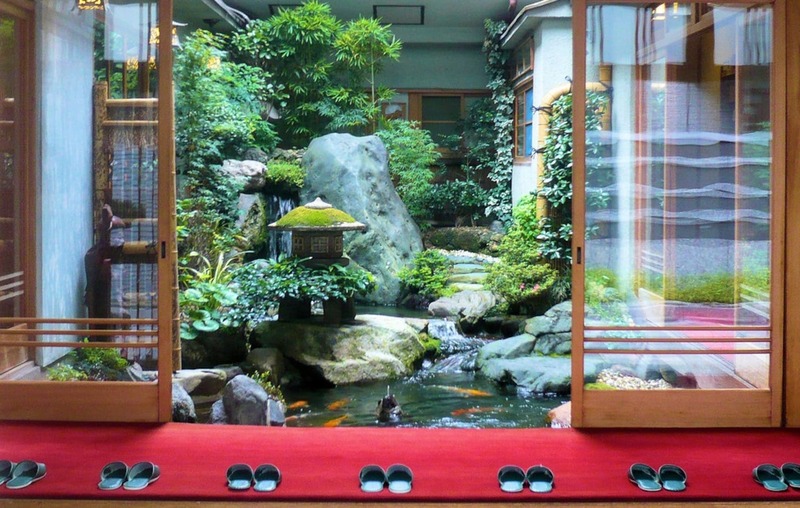 If you are looking for a truly Japanese-style stay, a ryokan is the best way to go. But all that immersion comes at a price, and ryokan are typically a little more expensive than alternatives. Since the tradition of ryokan is one celebrated around the country, you can find them in most prefectures. Sites like JapaniCan or Booking.com are useful when searching for the perfect place, since many of their official sites are in Japanese. Otherwise, you can have a look at some of our recommendations, ranging from luxury stays to rent-a-cat rooms! Hotels are everywhere and vary in price and quality. They're often the first choice because they are safe, reliable and can be booked online. Let's take a look at a couple of good examples for various budgets. For a more luxurious stay, the New Otani Tokyo is a beautiful hotel with several wings, and a delicate Japanese garden. They have oodles of awesome amenities (like a night pool!) as well as an incredible range of dining options. What more could you want? For a comfortable stay that might not have the flash and ritz of other high-end hotels, there are plenty of popular chains, like Hilton Hotels, particularly in Tokyo and Kyoto. The beds will be comfy, they'll usually come with at least one meal included and they are typically located near city hot spots. One of the most ubiquitous types of hotels in Japan are "business hotels." Typically chain affairs—like Toyoko Inn or APA Hotels—business hotels are great for a short stay, whether traveling for work or not. These accommodations are relatively no-frills compared to higher priced options, but they're less expensive and you always know what to expect. They sometimes offer breakfast, but they're more likely to provide a simple cup of coffee to fuel patrons on their way to a meeting. And then, of course, there are a variety of hotels that are quite... different from your average chain. For example, Book and Bed is a small chain where the hotels double as book stores. With Book and Bed hotels in Tokyo, Kyoto and Fukuoka, you can snuggle in bed with one of your favorite books. Another quirky hotel is the Henn na Hotel (変なホテル, literally "strange hotel"), which is run by friendly robots! We'd be remiss if we didn't mention Japan's famous "love hotels," but those have been covered much more thoroughly in a different article! Minshuku are almost like the Japanese equivalent of a bed and breakfast. 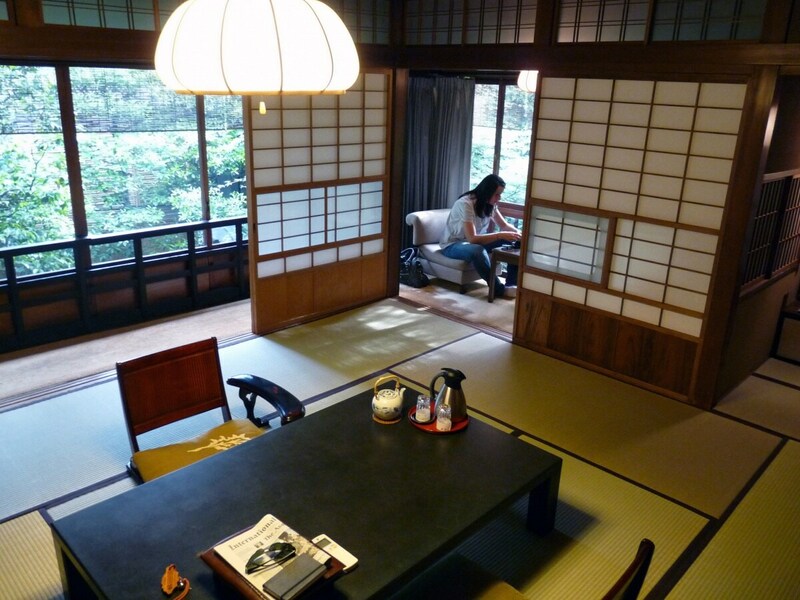 Similar to ryokan, a stay at a minshuku has a wonderful air of authenticity to it. Because minshuku are literally the houses of local residents, the rooms might be a little smaller and the houses themselves will likely be older than most modern hotels and resorts. But the hosts display that same omotenashi hospitality mentioned earlier and work hard to create a warm, comfortable atmosphere for guests. A stay at a minshuku also comes with a delicious home-cooked meal, often harvested from the gardens of the hosts, or a nearby farm. While they may not have onsen, many do have large Japanese-style baths (ofuro, お風呂), which are incredibly relaxing to soak in. Such an experience does come at a cost, however, and minshuku are a bit more expensive than your average hotel. They are most often found around hot spring resorts or tourist sites, such as Gokayama in Toyama Prefecture, where you can spend the night in a historic farm house. These can be found on most larger booking websites. It's also worth mentioning that the hosts at minshuku will likely speak little to no English, which can make communication more of a challenge. Hostels are generally a good booking choice for those traveling on a budget and come in different shapes and sizes. In Japan, hostels can range from single bunks in a shared dormitory to pretty, private traditional rooms. There are even lively bar lounge hostels such as Nui. Hostel in Tokyo. Hostels are a favorite of backpackers, and a great way to meet like-minded travelers from around the world... so long as you’re prepared to share amenities! Most hostels rarely offer private bathrooms or bathing areas, and although they'll usually have a laundry machine or a kitchen, you'll have to be conscious of other guests who want to use them as well. Sakura Hotels (pictured above) also have a number of hostels around Tokyo, as well as a share house in Kyoto. Hostelworld is particularly useful for finding hostels with English-speaking staff, and has an interactive map to help you choose a place. The website even has a feature to show what nationalities are currently staying in the hostel, which is particularly helpful if you’d like to feel at home speaking your own language, or want to brush up on one you've been studying! Although capsule hotels are mainly aimed at single travelers or for last-minute situations, they've come a long way. If you lose track of time in an izakaya and miss the last train, a capsule hotel might be your best bet! A capsule hotel is exactly what it sounds like—it gives you enough room to simply sleep, cabin-style, in a small pod, and offers its guests shared amenities like showers and common areas. While capsule hotels used to cater almost exclusively to businessmen—and would divide areas by gender—they're becoming more popular, and have started to step up their game. Now some places include access to all sorts of amenities, like hot springs, massage chairs and more! Some examples of capsule hotels include the Centurion Hotel chain, which offers capsules as well as standard rooms, the simple and chic 9 Hours in Shinjuku and Anshin Oyado, a capsule chain that caters to men. If you’re in a pinch, capsule hotels can be a great time and money-saver. But they can also be a unique experience to add to your itinerary while in Japan. Another great last-minute option is a manga or internet café. While they can also be useful if you've missed your last train, they're also great if you've taken an overnight bus somewhere and want to catch some sleep while waiting for things to open, or if you're waiting for a flight. Manga and internet cafés are also a great place to kill some time, since they have... well, manga and internet access. Most don't have beds, but they do have different types of chairs and offer various levels of privacy. They also have various amenities, like a soft drinks bar, TVs, DVDs, snacks and more. Some, like Media Cafe Popeye in Kyoto, even have showers where you can freshen up. They are particularly popular in Tokyo, and often the best way to find one is to simply wander around near a busy train station, but our recommendations include Media Café Popeye and Manboo! Manga Café, both large chains. If you're a super social person traveling on a budget, this is the perfect fit! Couch surfing has become more popular with the use of the site www.couchsurfing.com, and it can be a great way to meet new people without spending a fortune. But, as with any situation involving an online meet-up, it's incredible important to check (and double-check!) the reviews and profile of anyone you wish to stay with. Couchsurfing does its best to highlight this on its safety page, and they do take the safety of their users seriously. The Couchsurfing site also advertises community events that are held around Japan, so it’s a great way to get to know people and experience life in Japan first-hand! While camping may not be as popular in Japan as it is in the U.S. or Europe, it's still a great way to experience the beautiful nature of Japan, and get away from typical tourist spots. What makes it even better? It’s so cheap! Some campsites, such as the Omaki-yama campsite in Fukuoka Prefecture, allow you to set up a tent for no cost at all. The Konashidaira Camping Ground in Nagano Prefecture even offers a tent for four people for ¥5,000 (US$45) a night if you don’t want to bring your camping equipment abroad, or a cabin for ¥6,000+ (US$55+) if you want to experience nature alongside some home comforts. The Japan National Tourism Organization has put together an extensive list of the campsites all over the country. These can be booked through individual websites or through Booking.com. It's also worth noting that "glamping" is becoming more popular in Japan, and while it looks as glamorous as you'd expect, it increases the cost considerably!